Thomson Reuters invites BE/BTech 2012/2013 passouts (CS/IT/IS) for software development work in the company. Posted in Apply online, Computer Science, Freshers, IS, IT, Job After Btech, Software Development, Software Engineering, Without Experience. Tags: 2013 passout jobs, Apply online, Job Thomson Reuters, Mangalore, Software Engineer on March 30, 2014 by Lalit Joshi. NMPT New Mangalore Port Trust | Asstt. Engineer/ Director Vacancy | Government Jobs | November 2010 | Last Date: 24 December, 2010. BE/ BTECH (Civil, Electrical, Computer Science, Mechanical) required in New Mangalore Port Trust (NMPT), Mangalore. Mangalore Port is a modern all-weather port situated at Panambur, Mangalore (Karnataka State in South India), on the West Coast of India, 170 nautical miles South of Mormugao & 191 nautical miles North of Cochin Port. The Mangalore Harbour Projects Started in 1962, was completed in May 1974. The New Mangalore Port was declared as the 9th Major Port on 4th May 1974 and was formally inaugurated by the former Prime Minister of India, Smt. Indira Gandhi on 11th January 1975. Desirable: 02 years experience in executive cadre in Planning/ Construction/ Design/ Maintenance preferably of Port and Marine Structures in an Industrial/ Commercial/ Govt. Undertaking. Posted in Civil, Computer Science, Electrical, Government Job, Job After Btech, Mechanical, With experience. Tags: 2010, Asstt. Engineer, Director, Government Jobs, Last Date: 24 December, Mangalore, New Mangalore Port Trust, NMPT, November 2010, vacancy on November 23, 2010 by kavita joshi. 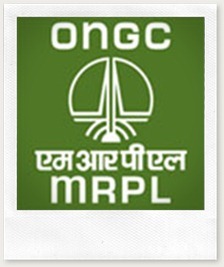 BE/ BTECH (Civil) required in Mangalore Refinery and Petrochemicals Limited (MRPL), Mangalore. Education: BE/ BTECH in Civil engineering. Posted in Civil, Government Job, Job After Btech, With experience. Tags: BE/ Btech, Civil, Government Jobs, Mangalore, Mangalore Refinery and Petrochemicals Limited, MRPL, September 2010 on September 18, 2010 by kavita joshi.